Heated Swimming Pool, Hot Tub Spas, wifi, pets, bbq, play areas,7 luxury cottages and B&B. 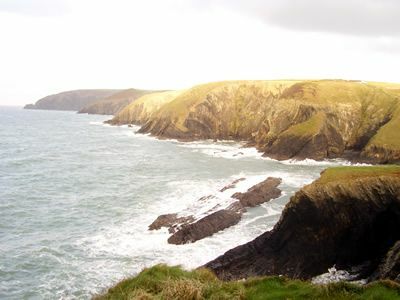 Near beaches, All Wales Coastal Path, dolphin watching, outdoor activities and family attractions. Romantic retreat, families and large groups welcome. 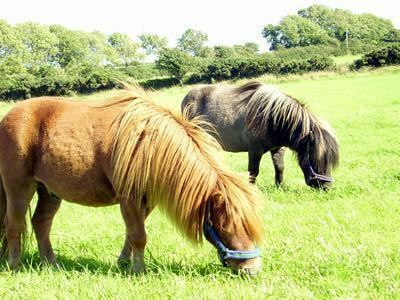 Our holiday cottages with heated swimming pool and two hot tub spas are located near Cardigan, Pembrokeshire. B&B and short breaks welcome. Please see weblink for details. 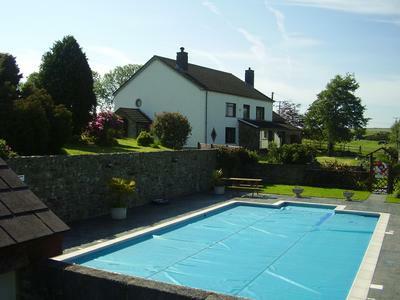 Trenewydd Farmhouse - sleeps up to 8 and is dog friendly with large secure lawn. It has 3 bedrooms, double room, twin bedded room and family room for 4. The large bathroom has a double shower, bath and heated towel rail. The spacious lounge has a Television and dvd player with DVDs, books and games to borrow. There is a separate dining room with original inglenook fireplace plus a large kitchen table. The large well equipped kitchen has French doors leading out to a secure lawn with garden furniture. The Farmhouse is extremely spacious and very comfortable with extensive views. Bwthyn Derw - Oak Cottage Sleeps up to 9 with hot tub spa is arranged on two floors with four bedrooms. It is dog friendly with dogs on the ground floor only please. Three upstairs bedrooms, double plus single bed and 2 twin bedded rooms. Also on this floor is a toilet, and shower. On the ground floor is a double bedroom and large bathroom with toilet and shower over bath. The large separate kitchen contains every amenity including washer-dryer, microwave oven, dishwasher, fridge-freezer. Interlinks with Ash.There is a 4 acre field for dog walking. Bwthyn Onnen - Ash Cottage Sleeps 2-4 on one level with two bedrooms, a double bedroom and twin bedded room. The wood beamed lounge/diner in this cottage benefits from a sunny position and has french doors leading onto a patio and lawn area. The kitchen has washer-dryer, microwave oven, fridge-freezer and a dishwasher. Bwthyn Derw and Onnen can be interlinked sleeping 13 in 6 bedrooms with 3 bathrooms. Ideal for large families or large groups of friends wishing to stay together in one cottage. Many memorable celebrations have been held here! Bwthyn Castan - Chestnut Cottage Sleeps up to 5 An spacious family cottage enjoying a sunny position with french doors leading onto a patio area and lawns. All rooms are on the same level with a wood beamed lounge. There is a ramp from the patio into the lounge ideal for wheel-chairs users. The fully equipped kitchen has washer-dryer, microwave oven, fridge freezer and dishwasher. This cottage has two bedrooms, one double and the other has full-size bunk beds and a single bed. Ty Mawr - Maple Cottage Sleeps up to 5 is our upside down holiday cottage! 3 bedrooms and a bathroom on the ground floor with stairs to the spacious open-plan first floor. The bedrooms consist of 1 double, 1 with full-size bunks and a single. The bathroom has wash hand basin, toilet, bath with shower over. On the second floor is a spacious living room with wooden beams and the kitchen leads off the dining area. Lovely views over the farm, pool and gardens. The fitted kitchen has a washer/dryer, fridge-freezer, cooker, microwave oven and a dishwasher. Ty Canol - Cherry Cottage Sleeps 4) Your dog is welcome to stay with you in this cottage. There are two bedrooms, a double room and a twin room with a bathroom with toilet and bath, shower wash basin and heated towel rail. There is an oak beamed lounge and fully equipped kitchen with washer/dryer, fridge-freezer, microwave oven and dish-washer. The cottage has a lawned area and a 4 acre field for walking your dog. 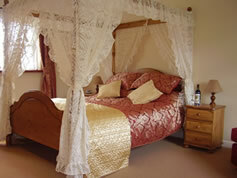 A very special romantic cottage for two with a beautifully draped, King-sized, 4-poster bed. Also with a hot tub spa with hydromassage jets and mood setting lights especially effective in the evening and available all year. Champagne, chocolates, roses can be arranged to make your stay that extra bit special! Ideal for anniversaries, birthdays. The cottage has a secure flower garden with little summer house and is ideal for small children, with a bed settee. 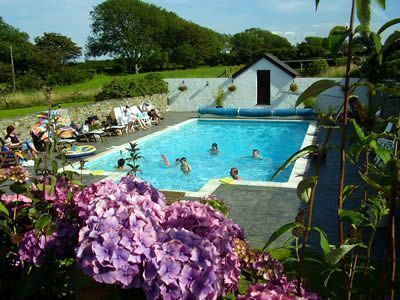 The large heated swimming pool is sunken into the landscaped gardens adjoining the farmhouse and is surrounded by a natural stone wall to provide not only ideal swimming conditions but also the perfect suntrap. There is a shallow area for children. The pool is available May to September. The two hot tub spas are available all year at Cosy and Oak Cottages. Located 2 miles from traditional town of Cardigan and 2 miles from Poppit Sands which is also the start of the Pembrokeshire Coastal Path. 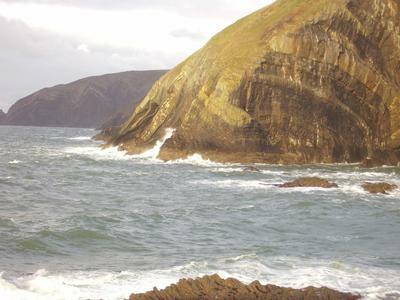 Also near to Cardigan Bay for dolphin watching. Ideally situated for visiting North, Mid and South Wales. Contact Tony Price for Enquiries and Availability.